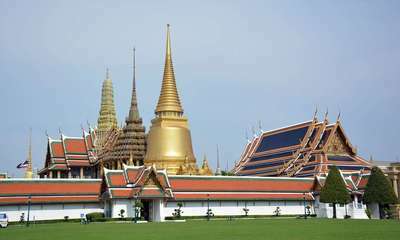 If you are in Bangkok you will most likely visit the Temple of the Emerald Buddha. Here are the schedules. The temple of the Emerald Buddha has the same schedule as the palace in which it is included: 8:30 to 15:30. Be careful, the temple is closed on ceremonial days, but these days are not always the same, each year, so you must learn to know them. Fortunately, there is not that much. As you notice, the temple closes early. 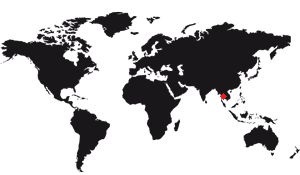 It is a habit in Thailand, where night falls at relatively fixed hours throughout the year, and relatively early too. It is worth noting that there are no variable hours, depending on the time of year. In this regard the Italians have made strong for the schedules of the Colosseum , in Rome: There are 6 different schedules, depending on the period of the year. But at the Temple of the Emerald Buddha, this is not the case. It's always the same schedule, whatever the day of the year. 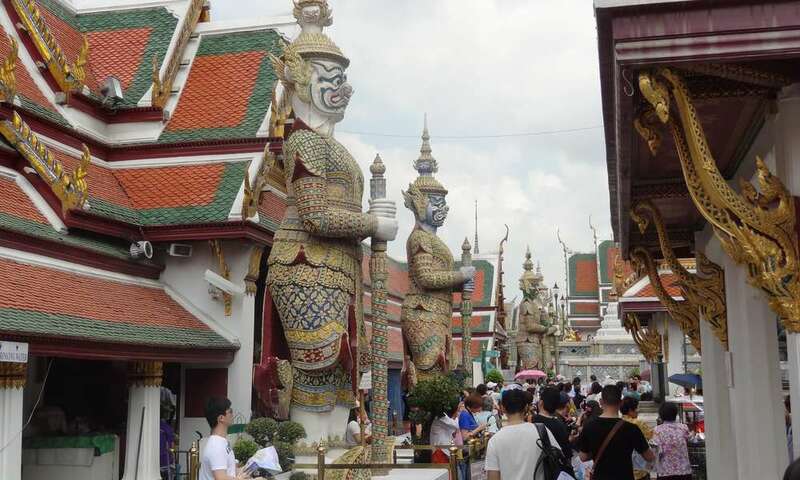 Like any important tourist site the temple and very frequented, and that all year round. The periods of affluence obviously follow the annual tourist flows, so it is in summer that there are more people. to choose, prefer to go there in winter: It is hot without excess, and there are fewer people. The February holidays are very good for that, if you have to go during school holidays. Otherwise, for now, prefer either the beginning of the day or rather 13h. At 13h certainly there will be a few people at first, but the crowd will gradually leave, letting you admire the site more quietly. The early morning to benefit from having a reduced queue to buy tickets, but to be on site from 8:30 in the morning, you have to get up even earlier, and on vacation, you have to be honest, it is not that which one prefers. Especially with the time difference, the European visitor will tend to fall asleep late and get up late.